Leadership is not in everyone’s comfort zone. Even after receiving that promotion or being asked to step up to a leadership role or launching a business, it’s not uncommon for women to require some additional personal skill and leadership development to take their place among the other executives. 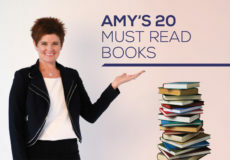 In these cases, Amy is an avid listener and trustworthy confidante as your executive presence and leadership coach. She affirms and supports you as you work together to identify your strengths and develop your goals in life and the workplace. 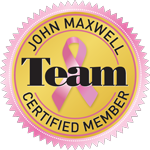 Amy is a champion for your career, helping you see beyond the day-to-day to create a vision for your life. She helps you understand the balance and needs of your competing personal and professional responsibilities in the quest for success. She helps you confidently find your balance between “assertive” and “aggressive” to activate those around you and ground you in your own power and self-confidence. If you are ready to embrace change, the Amy Throw Group will provide the evaluation, guidance, and individualized attention you need to bring out your best executive self. The solution is within you; Amy helps you find it and become the leader you are born to be. Ready to learn more? Take the Full Circle 7 assessment to learn more about yourself and how Amy can help!